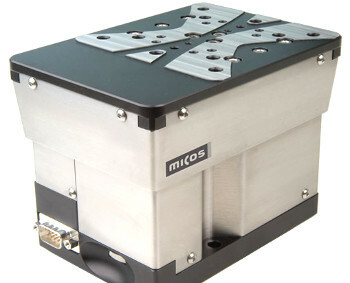 The PI micos elevation stage ES-100 is comparable with the LS-110 and PRS-110 stages. A precision ground re-circulating ball screw with 1 mm pitch drives the elevation stage. Newly developed cross-roller bearings guarantee a maximum rigidity and guiding quality. It is possible to motorize the ES-100 can be motorized with a DC or a 2-phase stepper motor and is equipped with two mechanical or hall limit switches. The travel ranges are 13 mm or 26 mm. 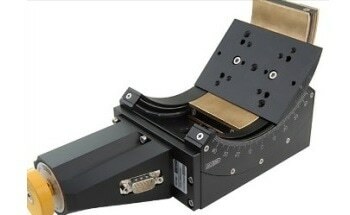 For demanding positioning tasks, the elevation stages ES-100 can be supplied with a cost-effective linear scale.